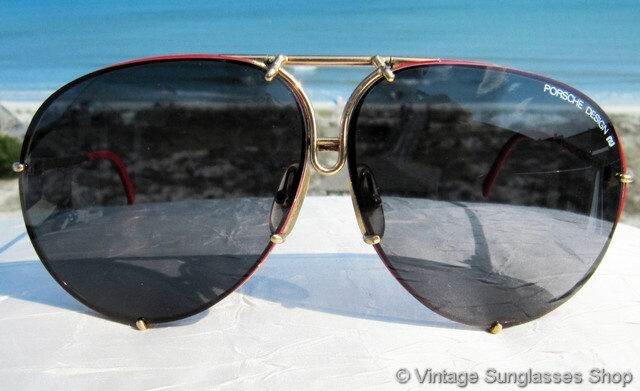 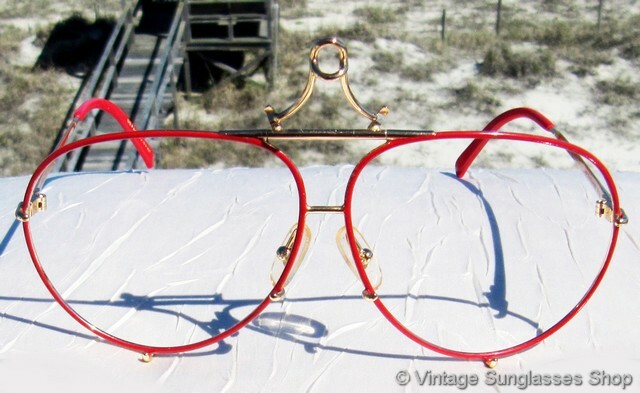 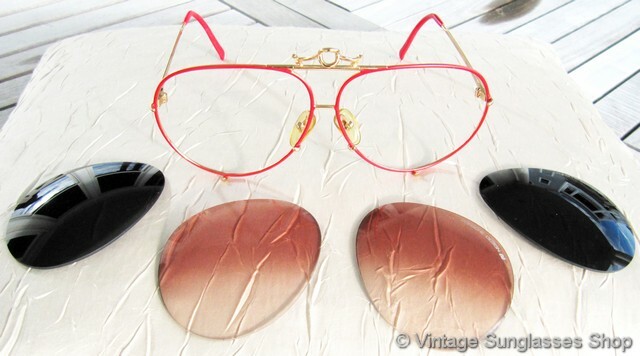 1 Rare vintage Carrera Porsche Design 5623 36 sunglasses will probably be the first time you've seen vintage Porsche Carreras with a red enamel and gold Austrian frame that was only produced in very small quantities c mid 1980s. 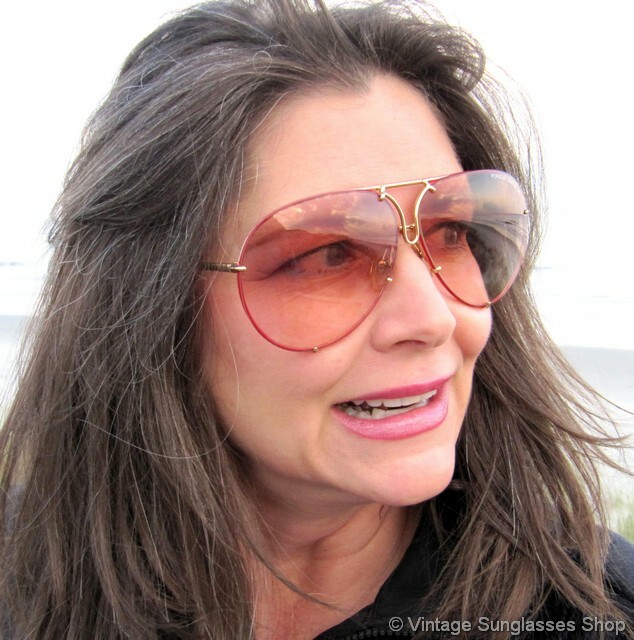 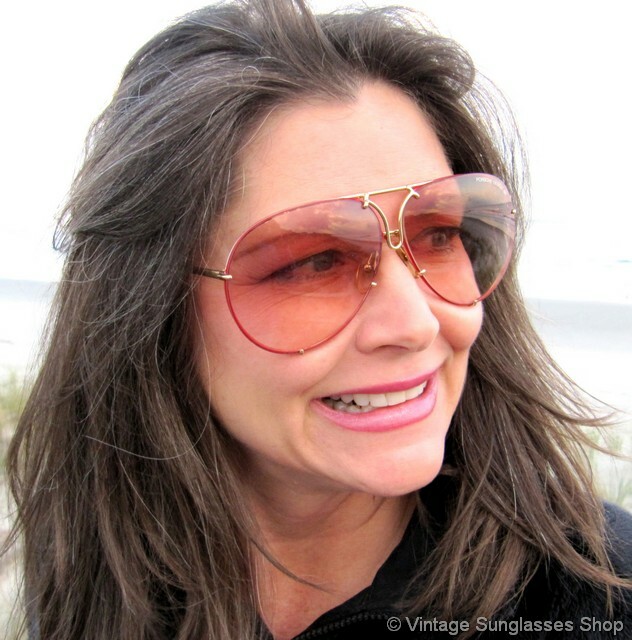 While the frame is the star of the show for these 5623 36 sunglasses, the supporting cast of gray and a rare brown shading to pink gradient Porsche Design lenses are pretty cool as well! 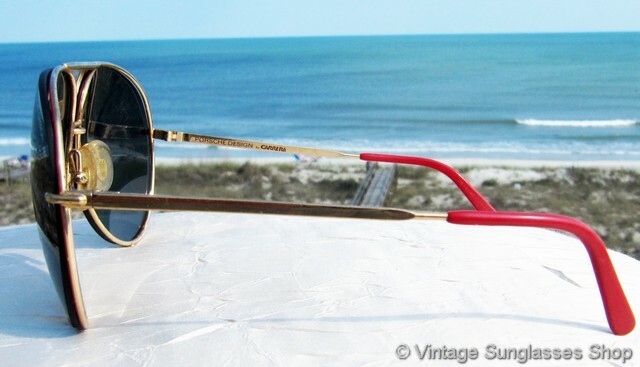 Like all vintage Carrera 5623 sunglasses, the center hinge raises to allow the interchangeable lenses to be inserted into prongs on the frame, and then the hinge clamps down to secure them in place. 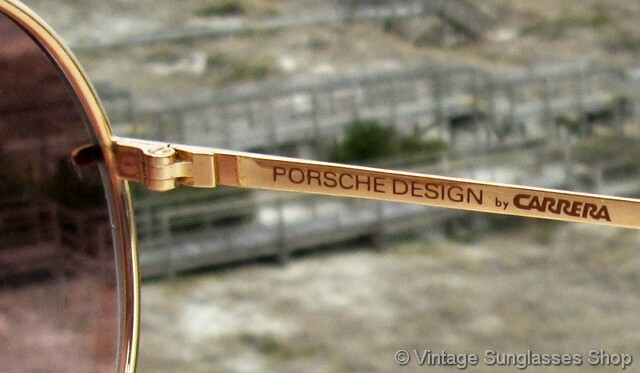 The unisex Carrera Porsche Design 5623 Austrian frame measuring 5.5" temple to temple, and the 2 sets of Porsche Design lenses measure approximately 2.5" x 2.25" at the widest points and with both laser etched Porsche Design along with the PD logo on the left lens. 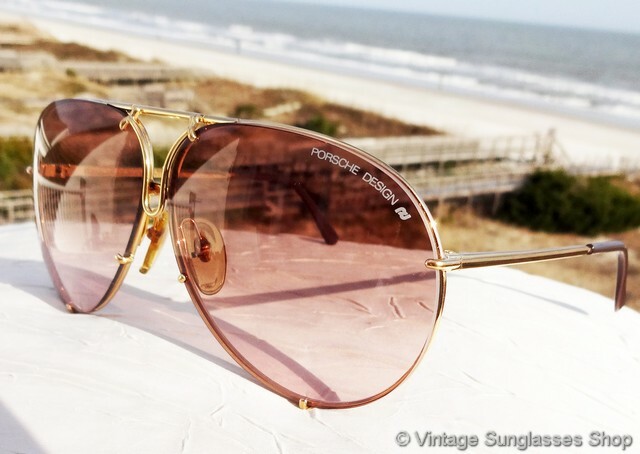 The inside of one ear stem is marked Porsche Design by Carrera along with the impressed US patent number, and the inside of the other stem is marked Made in Austria 5623 36 130. 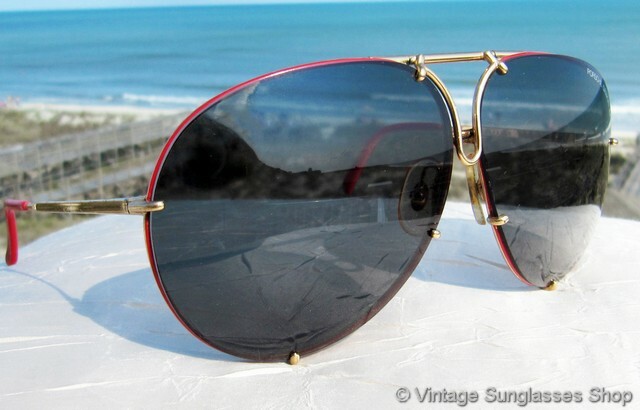 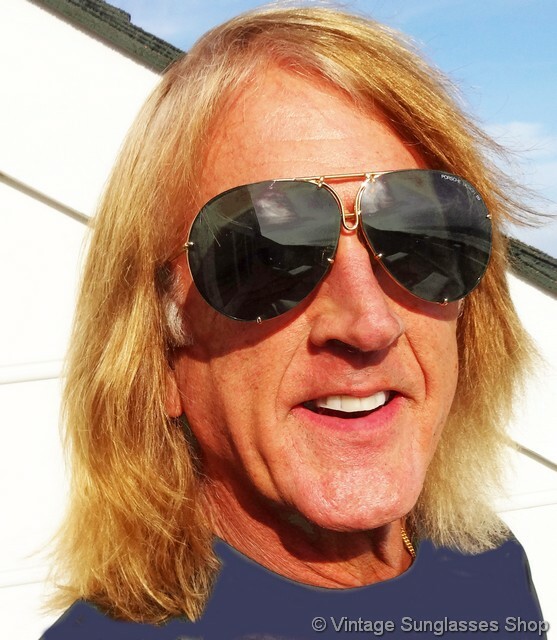 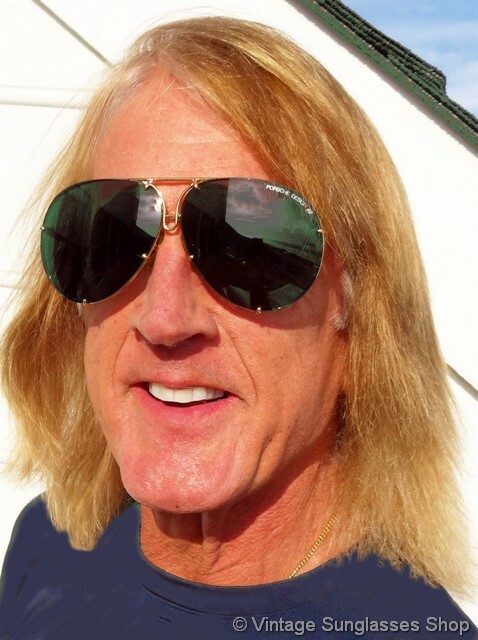 It's a striking and eye catching design sure to generate questions and compliments, previously owned by a well known sports celebrity and long time customer of the Vintage Sunglasses Shop. 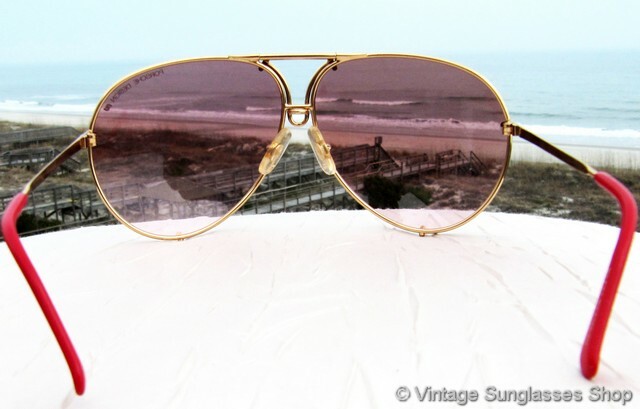 1A Step up another level beyond our already unequaled vintage condition standards with new old stock Carrera Porsche Design 5623 36 sunglasses in mint, unworn condition. 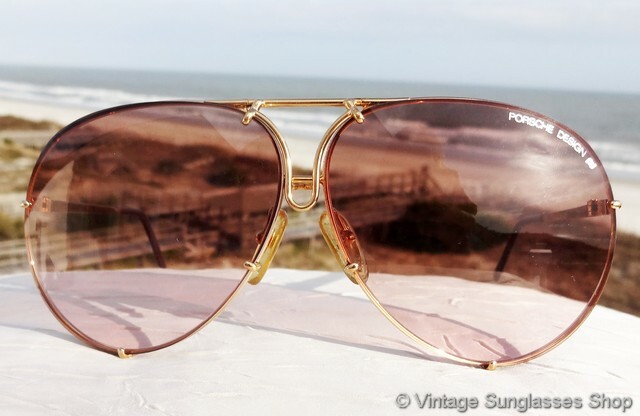 2 Identical in appearance but produced a few years earlier than the analogous 5623, Carrera Porsche Design 5621 36 sunglasses feature the same red enamel and gold plated frame along with the same 2 complete sets of gray and brown gradient lenses. 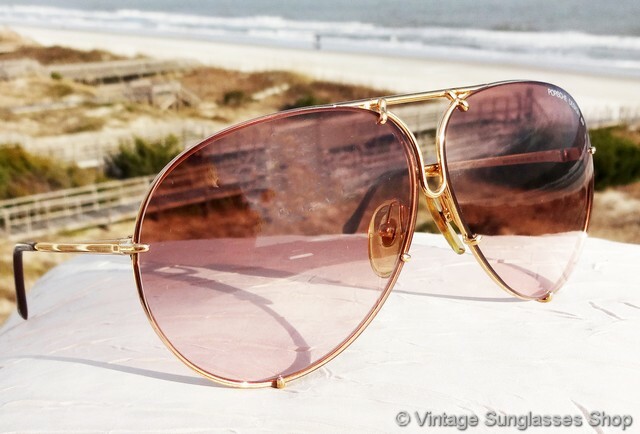 The unisex Carrera Porsche Design 5621 frame is just slightly larger than the 5623 and measures approximately 5.675" temple to temple. 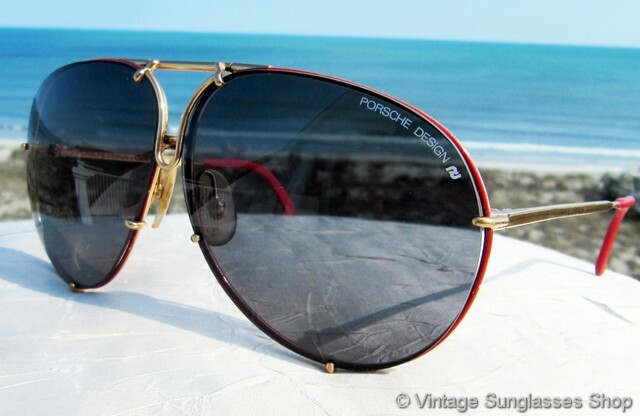 The inside of one ear stem is marked Porsche Design by Carrera while the inside of the other stem is marked Made in Austria 5621 36 135 along with the impressed serial number and the US patent number impressed on one of the red ear pads.